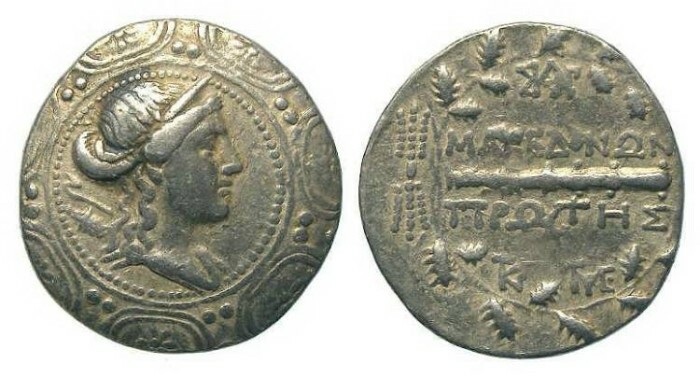 These coins were struck under Roman rule after the establishment of the Macedonian Republics and before the removal of Andriscus. Date : ca. 158 to 149 BC. Size : 30.4 x 31.8 mm Weight : 16.76 grams. Reverse : Club with MAKEDONIWN above and PRWTHS below, with three monograms, all within an oak wreath with a thunderbolt at the wreath tie.